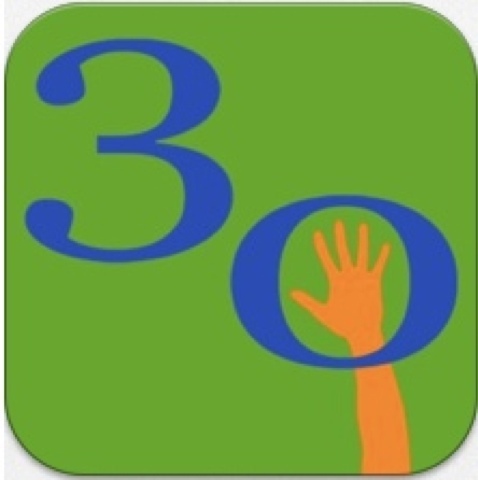 30 Hands free app is a great storytelling or presentation app that has lots of potential for the classroom. Presentations can be made with or without audio, but using audio will be more effective in most situations. Once you create your presentation, you can add images from your Camera Roll or you can take a picture with the camera on your device. Multiple images may be selected at once, and can be rearranged in the same way you rearrange apps on your iPad homescreen – press and hold until they wiggle, then drag and drop them to the order you need. You can also draw your slide with the in app sketchpad. It is a digital storytelling app but it is an equally capable simple presentation app in terms of having students present their content and share their ideas. You can send finished products to the camera roll.